Nora Ephron has been portrayed on screen by Diane Keaton, Sandra Dee, Meryl Streep, and Streep’s daughter, Grace Gummer. And that’s just the characters based on her life; her wit and insight are reflected in dozens of other characters she created as well. Nora’s writer mother Phoebe taught her that “everything is copy.” Even as she was dying, she ordered Nora to take notes. All four Ephron daughters became writers, but Nora, named for the door-slamming heroine of Ibsen’s A Doll’s House, most of all mined her own life and those around her for material. She is best remembered as the writer and/or director of four of the most successful romantic comedies of all time: “When Harry Met Sally...” (1989), “Sleepless in Seattle” (1993), “You’ve Got Mail” (1998), and “Julie and Julia" (2009). The glossy charm of those films, and, let’s face it, their marginalization as “chick flicks,” makes it easy to overlook just how smart they are. For decades, no other romantic comedies have come close in quality or influence, despite the best efforts of various adorkable Jessicas and Jennifers confronting cutely contrived misunderstandings with Judy Greer as the quirky best friend. Nora was the oldest daughter of screenwriters Henry and Phoebe Ephron (their story is told in Henry’s memoir, We Thought We Could Do Anything). They were New York City playwrights lured west to adapt established works like “Carousel” and “Daddy Long Legs” for Hollywood. Their four daughters grew up in Beverly Hills while the Ephrons worked on films like “Desk Set,” starring Spencer Tracy and Katharine Hepburn, “There’s No Business Like Show Business,” with Ethel Merman and Marilyn Monroe and “Captain Newman, M.D.,” with Gregory Peck and Tony Curtis. Phoebe wrote to Nora at camp describing the scene outside her office on the studio lot: a special effects crew creating the parting of the Red Sea for “The Ten Commandments,” using blue Jell-O. The Ephrons did not hesitate to use each other's lives as material. Even Nora’s son, Jacob Bernstein, produced a superb documentary about his mother, which is of course titled "Everything is Copy." It tells the story of Nora’s sister Delia putting her head through the bannister rails in their house, so that the fire department had to come and get her out. The Ephrons made that into an incident in a James Stewart film they wrote called “The Jackpot.” “My parents just took it and recycled it, just like that,” Nora says in the film. Later, Nora’s letters home from college inspired her parents to write a successful play called “Take Her, She’s Mine,” which became a movie starring Sandra Dee as a free-spirited (for 1963) daughter and James Stewart as the lawyer father who tries to keep her out of trouble. Phoebe and Henry were not the kind of parents who came to their children’s school events or comforted them reassuringly. Phoebe would respond to her daughters’ stories of heartbreak or disappointment by telling them it was all material for them to write about. She had a biting humor, sometimes at her daughters’ expense. But the Ephrons taught their daughters how to tell stories, especially their own stories. After college, Nora went to New York to work as a “mail girl” for Time magazine. News magazines of that era did not allow women to write bylined articles; the most they could expect was to be researchers for the male journalists. The fictionalized but fact-based Amazon series “Good Girls Revolt” depicts the experiences of the women who fought this system, and it includes a character named Nora Ephron, played by Grace Gummer. By 1976, Nora had already divorced the first of her three writer husbands and it was around this time she fell in love with another media superstar, Watergate reporter Carl Bernstein. In “Everything is Copy,” he described the night they met: “We had this amazing conversation.” They got married and she moved to Washington. “She wrote herself out of trouble,” says her agent, Bryan Lourd. That was economic trouble as well as heartache. Although she had never intended to become a screenwriter like her parents, she found that it provided more flexibility for a single mother than being a journalist. So she adapted Heartburn for the screen and co-wrote 1983's “Silkwood,” also starring Streep as the Kerr-McGee employee turned activist. Those who dismiss Nora’s work as lightweight because it is often light-hearted overlook its singularly radical and unapologetically female point of view. 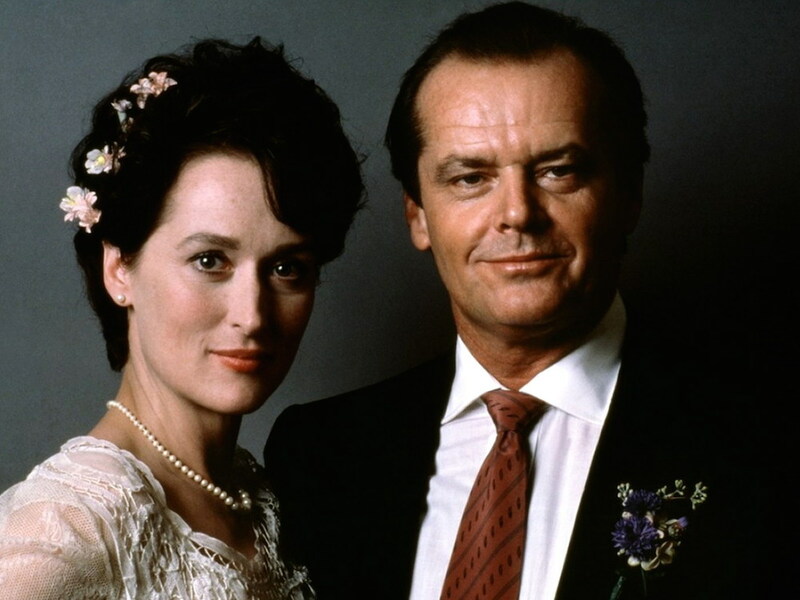 The moment in "Everything is Copy" that best illuminates her significance as a filmmaker is when Streep recalls Nichols asking Nora to provide more perspective on the husband’s point of view. But Streep understood that “this is about the person who got hit by the bus. It’s not about the bus.” Nora was saying that we have already seen a lot of movies from the perspective of the man; this one is the woman’s story. Indeed, it is the ability to control the point of view that was most important to Nora as a writer and director. In the novel version of Heartburn, she anticipated and answered questions about why she would tell the world something so personal and humiliating. Nora loved the control of being a director and paid attention to the smallest of details. For “Sleepless in Seattle,” she had a door flown across country so that the characters who had not yet met would be literally opening the same door, sending the audience a subliminal signal about their rightness for each other. She said that directing a movie meant that all day people asked her to decide things—she found it very satisfying to give them answers. "Everything is Copy" shows a Newsday headline for a story about Nora: “She tells the world things that maybe she shouldn’t, but aren’t you glad she did?” Nora was her own best copy, and it is a treat to see topics and opinions from her personal essays show up in her films. In "When Harry Met Sally...," Sally’s “high maintenance” style of ordering in a restaurant is based on Nora, and the sexual fantasy she confides to Harry as they walk through Central Park in autumn is one Nora discussed for its possible anti-feminist implications in Crazy Salad. In “Sleepless in Seattle,” Nora pays loving tribute to a movie she saw with her mother, “An Affair to Remember.” (After they saw the movie, Phoebe introduced Nora to its star, Cary Grant.) In “Julie and Julia,” the loving, devoted relationship between Julia Child and her husband Paul is based in part on Nora’s very happy third marriage. One of Nora’s most underrated films is perhaps her most personal, 1992's “This Is My Life,” based on the book by Meg Wolitzer, with Julie Kavner as a single mother trying to make it as a stand-up comic. Lena Dunham told the New Yorker that this film, Nora's directorial debut, made her want to be a filmmaker. On each viewing, a new joke or angle revealed itself to me and its world became richer. I loved Samantha Mathis’ surly teen, Gaby Hoffmann’s quippy innocent, and especially Julie Kavner’s Dot, their single mother, a standup comedian hellbent on self-actualizing despite, or maybe because of, these daughters. But what I really loved was the person orchestrating the whole thing. The costumes, perfectly low-rent polka-dotted blazers and grungy winter hats. The music, a mixture of vaudevillian bounce and Carly Simon’s voice that somehow made the city seem more real than if car horns scored the film. The camerawork, a single gliding shot that followed each family member into her bedroom as she settled into a new apartment in a less than desirable Manhattan neighborhood. I loved whoever was making these actresses comfortable enough to express the minutiae of being a human woman onscreen. At first, the conflict in the story comes from the character’s struggles to support her children. But then, as she becomes successful, the conflicts are central to Nora both as Phoebe’s daughter and as her sons’ mother: How can a mother pursue her passion and talent, knowing she may neglect the needs of her children? And should her children’s confidences and problems be copy for her stand-up routine? Dottie Ingels: I spend 16 years doing nothing but thinking about them and now I spend three months thinking about myself and I feel like I’ve murdered them. Arnold Moss: You had to travel. It’s part of your work. Kids are happy when their mother’s happy. Dottie Ingels: No they’re not. Everyone says that, but it’s not true. Kids are happy if you’re there. You give kids a choice: your mother in the next room on the verge of suicide versus your mother in Hawaii in ecstasy, they choose suicide in the next room. Believe me. 2000's “Hanging Up” is based on Delia Ephron’s 1995 book about her father’s death. Delia and Nora wrote the script, and Delia speaks frankly in "Everything is Copy" about the arguments they had while they were working together. The movie is a mess, of more interest for what it reveals about Ephron family dynamics than for its quality. The character based on Nora is played by Diane Keaton, who also directed. In his review, Roger Ebert wrote: “It is so blond and brittle, so pumped up with cheerful chatter and quality time, so relentless in the way it wants to be bright about sisterhood and death, that you want to stick a star on its forehead and send it home with a fever.” Tellingly, the Keaton/Nora character in the film is accused by her sister of appropriating her emotions for public display. My favorite “everything is copy” example in Nora’s films is from her most overlooked movie, the very charming and funny “My Blue Heaven" (1990). It stars Steve Martin as a former mobster in the witness protection program and Rick Moranis as the FBI agent assigned to take care of him as he prepares to testify against the head of the crime syndicate. The single mom prosecutor played by Joan Cusack reflects some of Nora’s experiences. But it isn’t the Ephrons who are copy here. By this time, Nora was very happily married to her third husband, writer Nicholas Pileggi, whose book about former mobster Henry Hill was the basis for the brilliant Martin Scorsese crime drama “Goodfellas.” Clearly, as her husband was writing about Hill, Nora was thinking that putting a goodfella into witness protection could be a funny story. Nora’s sons are now writers, too, both reporters, telling other people’s stories. But in writing about her death for the New York Times and telling Nora’s story in “Everything is Copy,” Jacob Bernstein tells his own as well. We see him talking to his father about the divorce and the many-year fight that followed, which included a negotiation for joint custody in exchange for allowing Nora to make the movie “Heartburn.” The agreement filed with the court even included a clause ensuring that Bernstein would be portrayed as a good father in the film, so the film did not just reflect her life; it was shaped by it. In "Everything is Copy," as Jacob mulls his grandmother’s famous phrase, and the private illness of his usually open-book mother, another generation of family writers expresses how their personal experiences can be illuminating for us, too.